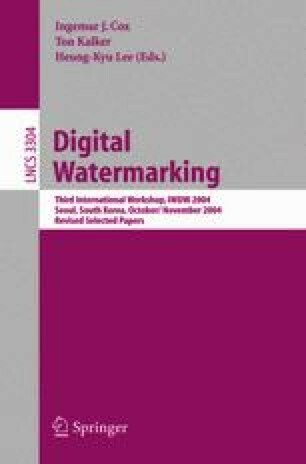 This paper presents a new approach on utilizing human visual model (HVM) for watermarking. The approach introduces the linear prediction synthesis filter, whose parameters are derived from a set of just noticeable differences estimated by HVM. After being filtered by such a filter, the watermark can be adapted to characteristics of human visual system. As a result, the watermark visibility is noticeably decreased, while at the same time enhancing its energy. The theoretic analysis of the detector is done to illustrate the affect of the filter on detection value. And the experimental results prove the effectiveness of the new approach.